There are still places that you may find only in storybooks or in historical films. In our time, they are fabulous, legendary, mystical and very mysterious. Our desire for romance in a technological world still contributes to give such places an indescribable ambience. 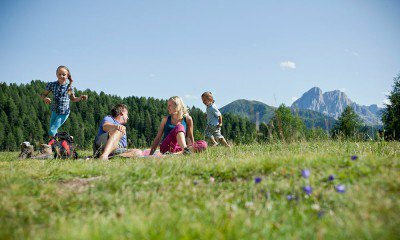 This includes the Fane Alp – probably the most beautiful alpine village in South Tyrol. 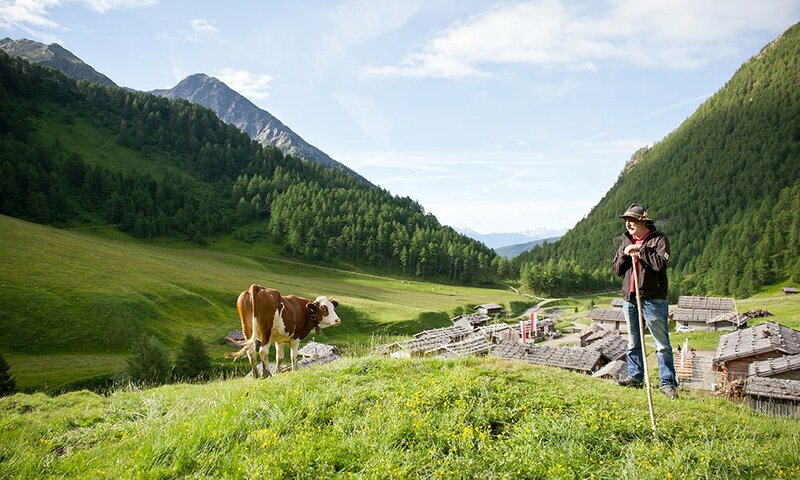 In a quite remote location, where the Valles Valley merges with the Fundres Mountains and the peaks of the “Wilde Kreuzspitze” rises above the landscape, there is an enchanted village that you should visit at least once during your vacation in South Tyrol. The Fane Alp consists of a small church, residential buildings, stables and several alpine taverns. When you walk into this secluded historic settlement for the first time, you actually expect to see farmers with tricorn-hats on their heads, peasants dressed in magnificent costumes and priests in ancient regalia. The Fane Alp managed to survive the ravages of time and the achievements of modernity thanks to its inaccessibility and its unique history. Hundreds of years ago, the plague raged in South Tyrol, thus, the population sought refuge in a safe high valley, far away from any major road. They founded the Fane Alp; and when better times came along, a part of the refugees decided to stay up there in the Valles Valley. Their small weatherproof houses are still here today. When you visit the Fane Alp and look around, you will notice that not so much has changed. With a bit of imagination, you may trace the spirit of past times and use the hiking trails that start from this fairy tale village. Maybe you even wish to conquer the peaks of the Wilde Kreuzspitze! From our hotel, you may easily reach the Valles Valley by car. 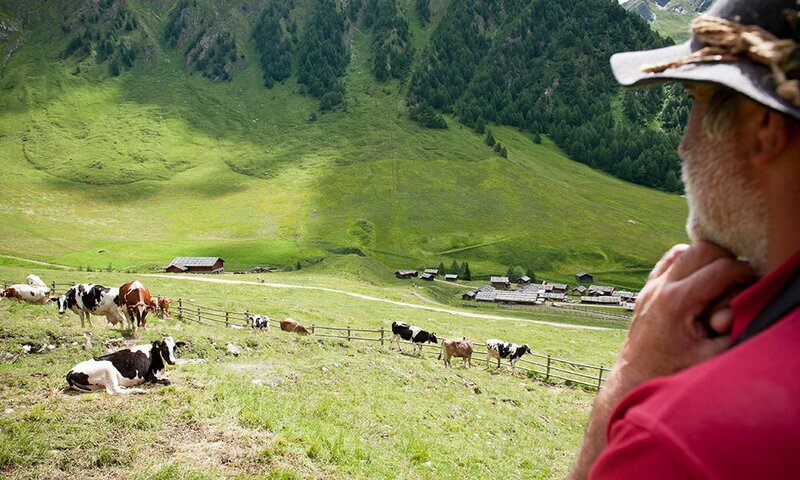 Continue to the Fane Alp on foot, or with the cable car Val Giovo. 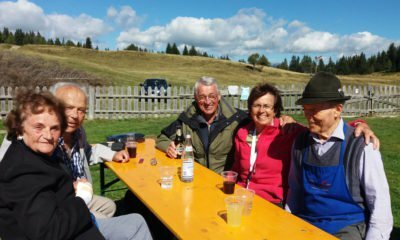 In the winter, the ski tour competition “Wurmmaul” starts at the historic mountain village. 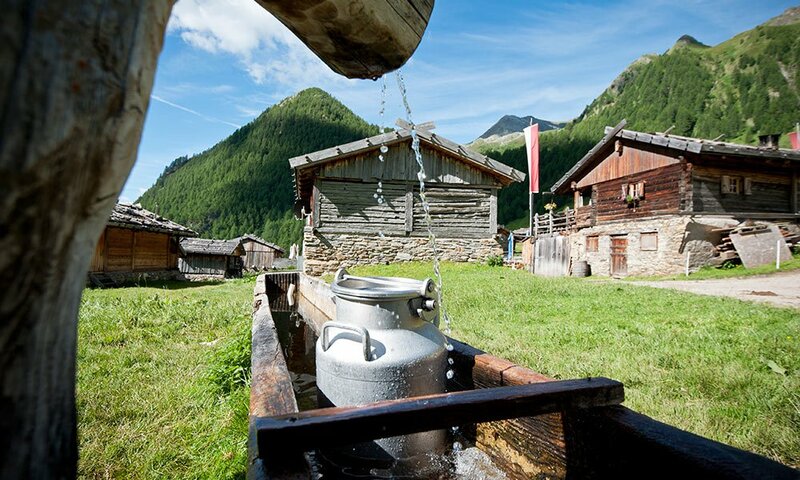 You may also use the toboggan to return to the valley; in the summer, you may participate in the Milk Festival. There is more going on here than you might expect when you first see the small huts and homesteads!